Producer Templo has once again delivered a sonically tuned and blissed out track for us to dive into, and this time around it comes in the form of ‘Impulse’. Coming in just under 4 minutes, this tune demands to be appreciated with a pristine sound system or a sleek pair of headphones. ‘Impulse’ forges through colossal soundscapes that beam with soft downtempos, galactic bass waves and squishy glitch layered in between. Templo has always been a producing machine, and that doesn’t seem to be slowing down at all in 2017. If you haven’t blessed your ears with music by Templo, now is as good a time as any to begin the journey. Catch his headliner on February 17th as he takes over The Bluebird with Somatoast, Calvin Hobbes, and more. 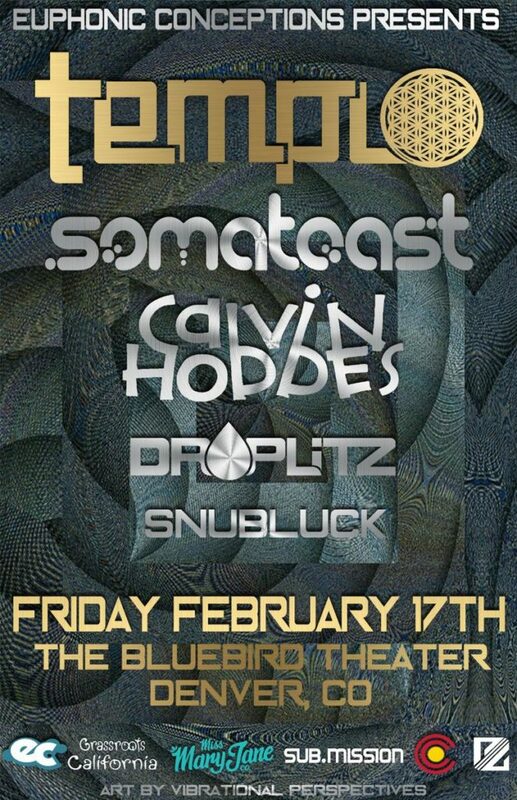 Templo’s performances are always a true highlight of the night, and we invite you to experience it yourselves on the 17th. Purchasing a ticket to the show also gets you a free download of ‘Impulse’ as well, so hop on it and scoop yours here.